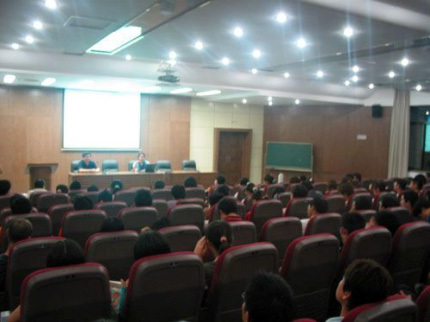 On June 1, the academic meeting entitled ¡°design management forum-the origin of enterprise's competitiveness¡± was held in Nanjing University of Science & Technology. Among the guest speakers are Cathy Huang of CBI, Prof. Yang Ganxin, Honorary Director of Jiangsu Industrial Design Association, and professors from Industrial Design Dept. Combining her own working experience in Haier and GE/FITCH and case studies, Cathy offered her views and insights on design and design management in China. 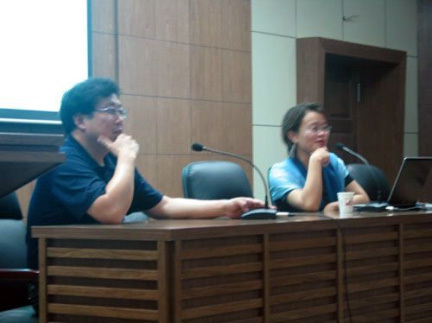 The lecture was well received and students held heated discussion with the lecturers after the seminar.